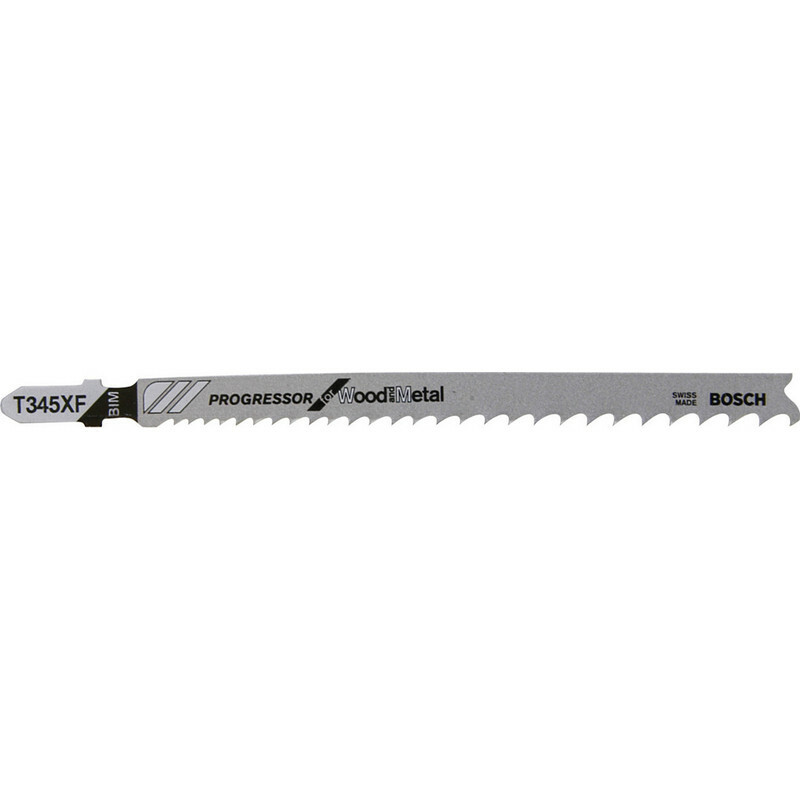 For cutting construction timber with nails up to 65mm thick. Can also be used on plastics, metal plate, pipes / profiles (including aluminium) from 3-10mm. Bosch Bayonet Jigsaw Blade T345XF Wood / Metal (5 Pack) is rated 5.0 out of 5 by 3. Rated 5 out of 5 by Bluebird2018 from Good quality blades I used to cut joists into fire wood. They cut well through very old wood. Rated 5 out of 5 by CharlesW from Magic Was advised this was the best blade for cutting out for letter box in Upvc door. It certainly was. Very clean cut and no chipping.